Elliot Quest is an adventure/RPG inspired by Zelda II: The Adventure of Link. In Elliot Quest, players explore the mysterious Urele Island in search of an ancient demon, navigating through 8 dungeons, defeating over 16 bosses, and discovering countless treasures. Our caster Samsai has been given a copy they sent over to do a future video of it, so look out for that one folks! Thanks for sending it over devs (I don't generally keep keys for myself). You can play a demo right here in firefox and chrome. It has a very small goal of $4,000 to finish up and it's already over $1.5K so I cannot see this one failing when it looks so promising. Visit the Kickstarter here. They also need a bit of free help in the way of greenlight votes as well. I bought the game a while back and despite it's alpha state it hasn't updated even once. And it was a couple of months ago. It's a fun game but I'd expect some more active development from a non-finished title. Quote from Pic I bought the game a while back and despite it's alpha state it hasn't updated even once. And it was a couple of months ago. It's a fun game but I'd expect some more active development from a non-finished title. Sorry for the lack of updates but since its a strong story oriented game we dont want to spoil the plot with little updates, beta is coming pretty soon and its great so the wait is going to be worth i promise. 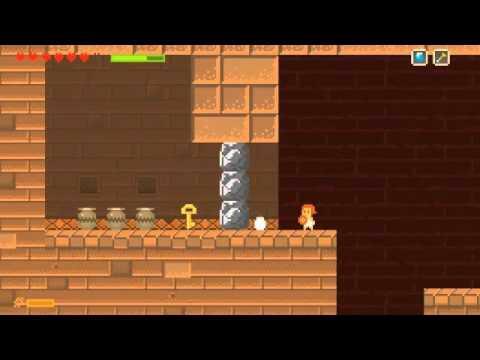 I like platformer games, this one is great and I know they will hit the goal.